I’ve seen firsthand the devastating effects of brain injuries. In 2006, a close friend of mine was in a serious auto accident, resulting in him being in a coma for months. He lost much of his ability to function and still needs extensive therapy to this day. Brain injuries, including traumatic injuries, strokes, and aphasia, are physically, emotionally and financially overwhelming, usually requiring thousands of hours of treatment. Constant Therapy, which just raised $2 million in Series A funding, is trying to make brain rehab simpler, more accessible, and cheaper. Each of these tasks has been scientifically proven to aid in improved cognitive performance after trauma. Users begin by answering a series of questions about themselves, including the type of brain injury they have, what specific functions they need help with, and when they were diagnosed with the brain injury. 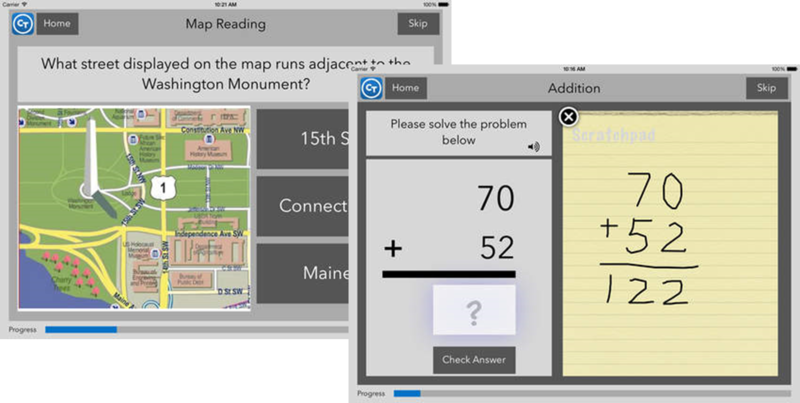 The app then creates a customized plan of exercises for the user to begin. 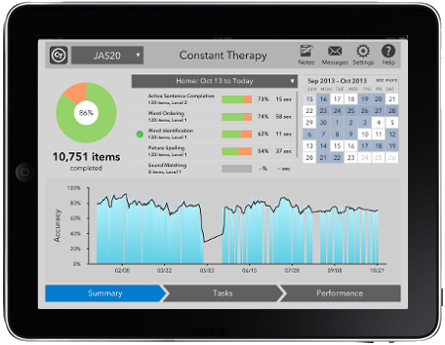 The Constant Therapy app uses a “NeuroPerformance Engine” to analyze the data produced after a patient goes through the exercises. Based on the analysis, the app determines where the patient is progressing and where they are struggling. The app then automatically (and on an ongoing basis) adjusts the individual’s program to address their areas of weakness. The app also provides regular feedback, allowing patients to see exactly how much progress they’re making and in what areas. In the world of brain injuries, where recovery can be extremely slow, this feedback can instill hope in the patients and give them a real sense of accomplishment. The app is designed to be used both by individual patients and by clinicians and patients together. One key advantage for clinicians is that the app allows them to closely manage and monitor progress at a very granular, quantitative level. We believe Constant Therapy can be a disruptive positive force in the $10 billion market for brain rehabilitation services. Unlike traditional paper-based therapies that rely on static and manually delivered exercises, its mobile exercises are dynamic, updated constantly and customized for each patient. Clinicians can use Constant Therapy with their patients in clinic and the patients can continue to work independently when they go home. Constant Therapy is relatively inexpensive, costing $19.99 per month, $199 per year, or $299 for three years. The recent funding will position Constant Therapy to be even more disruptive in the $10 billion brain rehab market. They plan on using the funds to expand scientific research, data, marketing, and development. This all makes sense to me and knowing what I know about brain injuries, there is nothing to lose that point. Why not give it a try? Just reading a map is a great way to get the brain going. 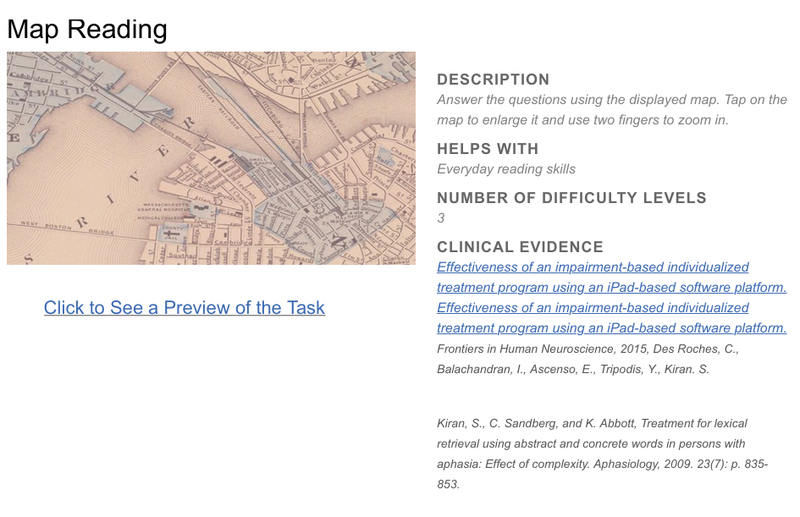 There is a lot of information on a map and requiring your brain to take it all in at one time is a great way to rehab it. For this kind of price, how can you look at any other option? There are not that many to choose from and when you are talking about rehabbing your brain, there is little that can help. Bookmarking a new article is a great way to be able to come back to it without too much trouble! It really seems like that price is just too low. I would expect to have to pay way more for a service like this. However, it is nice to see that a business like this has the funding to do great things for people. That is encouraging to say the least. I can imagine that there is a huge market for this. What’s to say that a rehab clinic doesn’t buy a license for this and offer as part of brain rehab? Great article! Thanks Kyle. Yeah I can imagine that the market for this is massive. I agree with Kyle. There has to be a lot of things can accomplish for people. Thanks for bringing this to my attention! Very good article and one that I hope really helps those with brain issues during the recovery process. I think that price is well worth it. Plan on getting into it for 3 years and you are only talking about $8+ per month! I spend more than that in gas on my way to work EACH day. I think it is a good idea! I am going to have to agree with you. When you look at something like this and how much it can really help a person in need, the cost is STILL a factor. This is nice. I agree with you. This price point is so easy to work with and even for those that might not have a lot of money, its an affordable care option for them.